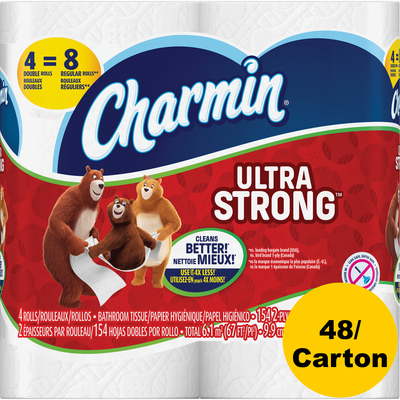 Ultra-Strong Bathroom Tissue Delivers A Dependable Clean To Help You Use Less. Two-Ply Construction Is Highly Absorbent To Help Prevent Wasteful Use. Tissue Is Clog-Safe And Septic-Safe For Worry-Free Use. Bathroom Tissue Is Designed For Use In Standard Household, Toilet Roll Dispensers (Sold Separately)..
Ultra-Strong Bathroom Tissue Delivers A Dependable Clean To Help You Use Less. Two-Ply Construction Is Highly Absorbent To Help Prevent Wasteful Use. Tissue Is Clog-Safe And Septic-Safe For Worry-Free Use. Bathroom Tissue Is Designed For Use In Standard Household, Toilet Roll Dispensers (Sold Separately).